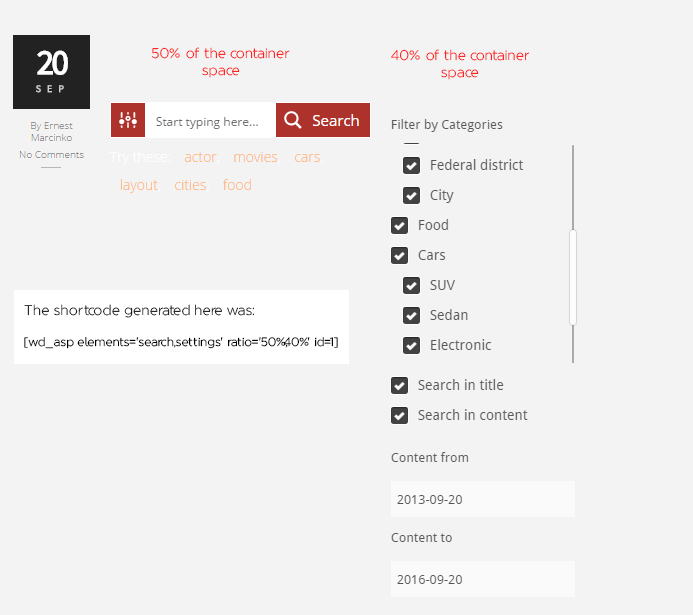 The shortcode generator helps you to create a specific arrangement for search elements. It's a great tool if you need to display the search box, the settings box and the result box in a specific way. Click on the Shortcode generator button to open the modal box. Choose a pre-defined arrangement from the drop-down list, or use the buttons below it to add/remove the shortcode elements. Drag/Drop the elements to change their order. Use the width input fields to adjust the element relative width.